NC PLUMBING AND HEATING are here to help unclug and install your drains! 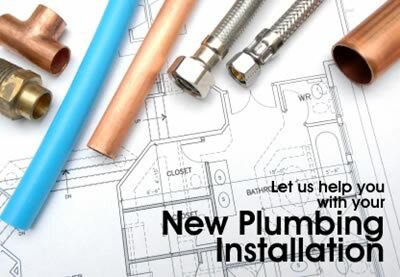 Hiring a plumbings company to do some repair work at your home or business is a big endeavor. This is especially true in for repair work is not being done and instead new construction is taking place. You really need to make sure that you are working with the very best plumbing company possible. To that end, it really make sense to understand what you should be looking for. Preferences can really be helpful in helping an individual determine whether or not a plumbing company is reputable. However, you also need to make sure that you are not allowing yourself to be led astray by comments that may not necessarily be rooted in fact. For example, people who are upset with the job that has been done by a plumbing company may go to the Internet to vent their concerns. However, that may not necessarily be an accurate reflection of what took place. Therefore, you need to make sure that you are not necessarily putting too much emphasis on negative reviews that you read online. What you should instead be doing is thinking about whether or not there is a way for you to figure out if a particular plumbing company has done good work for others in the past. One way to do this is to try to speak to as many people as you can have used the services of a specific company. This type of real-world feedback is very important because you can ask questions and get a better sense as to whether or not a particular plumbing company is one that you should be doing business with.